From September 12th to September 19th, the Brush Arcs football, soccer and volleyball teams will be joining together through the 2013 Spielman Gridiron Classic to support breast cancer research. Join us to CELEBRATE those who have beaten cancer, REMEMBER those who have lost the battle and HONOR those still fighting cancer. All of the monies raised by the local high school boosters will be divided equally between the Stephanie Spielman Fund for Breast Cancer Research and the local booster groups themselves. You can show your support in two different ways. Purchase a t-shirt for $20.00 and receive admittance to all four pink games, which are the football game against Kenston on Thursday, September 12th, the boys soccer game vs. Valley Forge on September 17th, the girls soccer game against Valley Forge on September 18th and the volleyball game against Parma on September 19th. T-shirts are available at the Brush Athletic Office (216-691-2100), Brush Open House, and at the September 6th and the September 12th home football games. To make other arrangements, contact Lisa Marko at ljm1987@msn.com. In addition, during the halftime celebration at the September 12th Varsity Football game, we will honor those individuals who have beaten cancer, lost the battle against cancer or are still fighting cancer. For a $10.00 donation, we will announce your honoree at halftime and also have the names scrolling on our new scoreboard. Names received on the day of the event will be announced but may not be on the scoreboard. 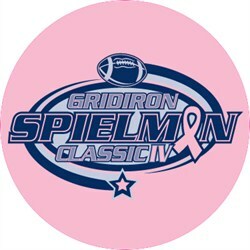 For more information on the Spielman Gridiron Classic, please click here. Also, attached are the flyers for the t-shirts and the halftime celebration.